All-around hard-working Square Scrub floor machines are a fantastic choice for any facility requiring efficient, durable floor preparation and cleaning power. 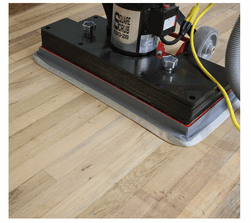 1877FloorGuy can help you find the appropriate Square Scrub floor machine, accessories and pads, screens or sanding paper to tackle your job. 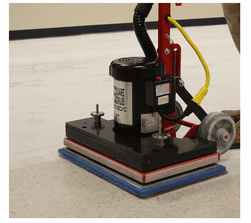 Whether you need to sand and refinish a school gym floor, clean difficult hard-to-reach areas in bathrooms or need a versatile floor machine that can scrub both carpet and hard-surface floors, you'll find the equipment you need here. 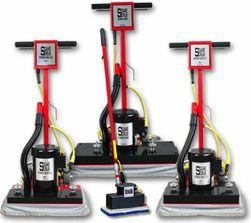 The extremely adaptable floor scrub machines made by Square Scrub can assist with cleaning, sanding, floor finish removal and subfloor prep jobs when outfitted with the right pads, sandscreens or sandpaper. Find information and a quick online application here for floor machine financing. 1877FloorGuy has a full collection of Square Scrub pads, sand screens, sand paper and other accessories to help simplify and complete any in-depth flooring maintenace job. 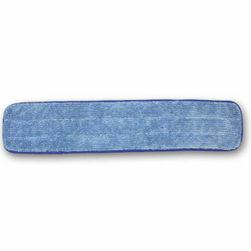 Shop all Square Scrub pads to find the right fit for EBG9, EBG20 and EBG28 Floor Surface Prep Machines including pads for finish removal, cleaning, buffing, stripping and tile-grout cleaning. 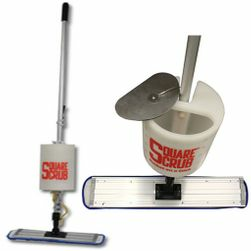 1877FloorGuy can help you purchase Square Scrub floor machines for your business or facility with financing available through our partnership with Leasing Corp of America. For more information, contact us at 1-877-Floor-Guy (1-877-356-6748) or send us an email.